Saturday early in August. 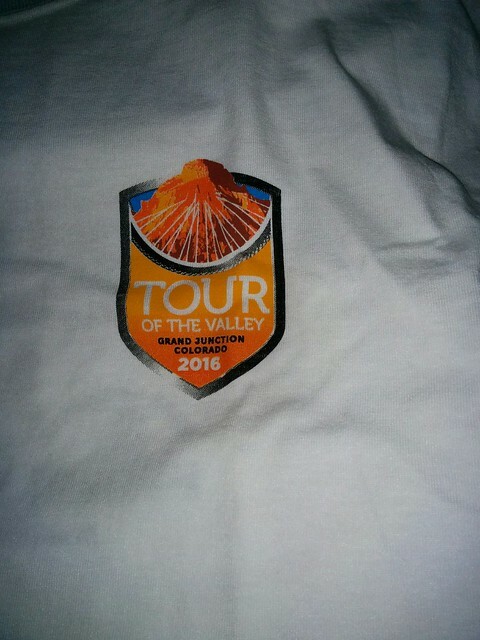 Not the traditional day or time for the Tour of the Valley, which has been held on the last Sunday in the month. Not sure why they changed it, and the turnout wasn’t as great as in prior years. I picked and chose from the 75 mile tour by cutting off the Palisade segment which we rode two days ago. Met several cycling friends along the way, mostly when they passed me… The temperature was wonderful and the lunch/party was also enjoyable. Two brewpubs and a local winery were handing out free samples, and the food was exceptional. If the barbecue and salad are typical of Community Hospital’s cuisine, I want to go there next time I have to visit a hospital! The only sour note was when it was time to come home and the rear tire was completely flat. The guy from the local bike shop had left about a half hour earlier, and I wasn’t in the mood to fix it right there; the good news is that Georgia drove over and brought me home.